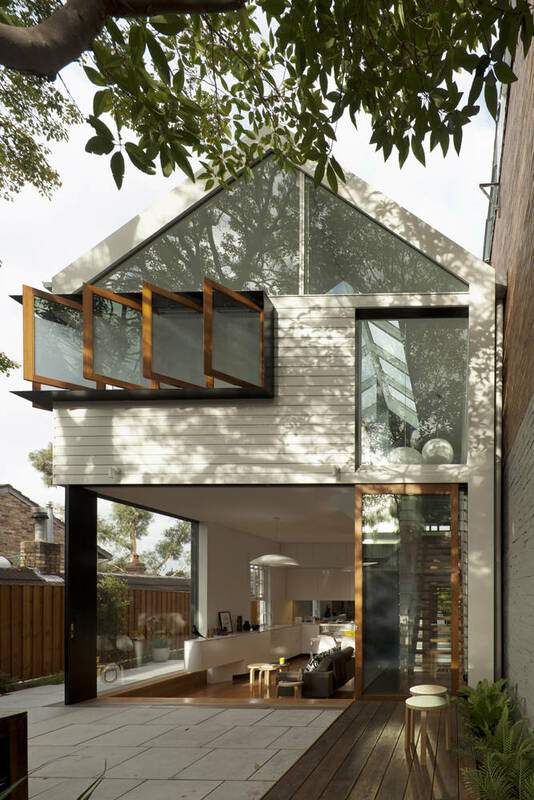 This beautiful single family house designed by Christopher Polly Architects is located in Sydney. This project is a restoration of previously existing building. 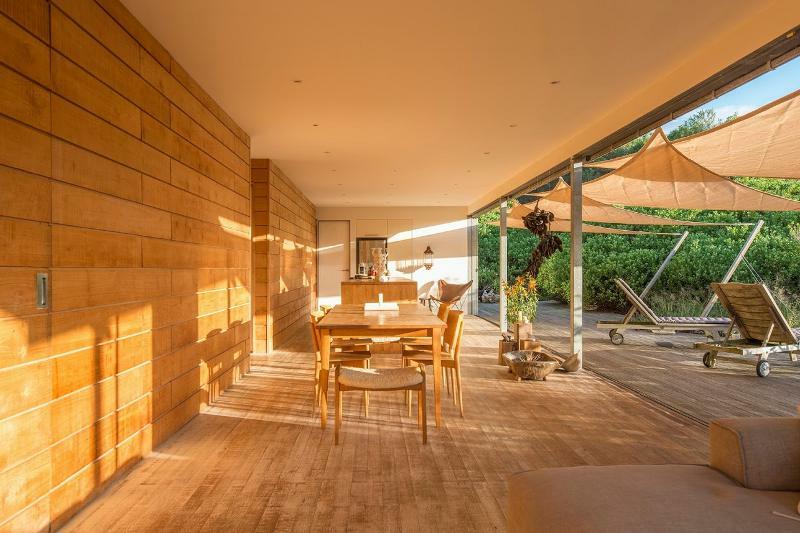 On a ground floor architects inserted an open plan kitchen with dining room and small living space connected by sliding door with amazing deck. A renovation of a 70s Sydney home by architect Noek Witzand of noekdesign allows connection between the inside and out through a wall of sliding glass. Minimal style is warmed by wood and washed with white while seaside vegetation laps at the deck. 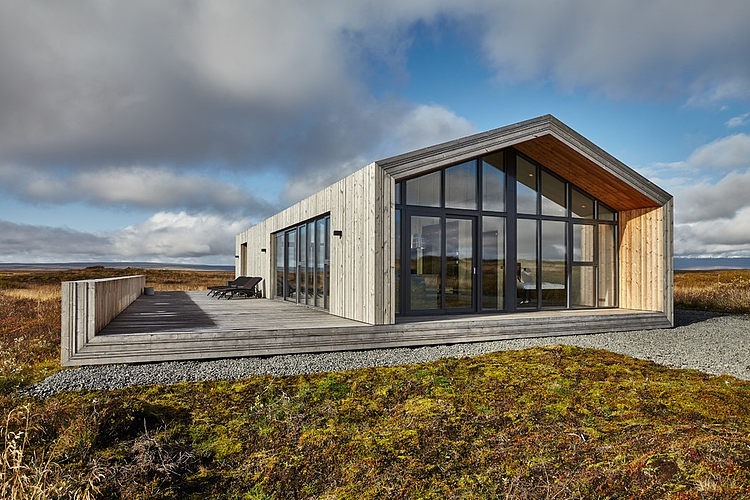 This modern wooden retreat designed by Tonnatak is situated in Bláskógabyggð, Island. 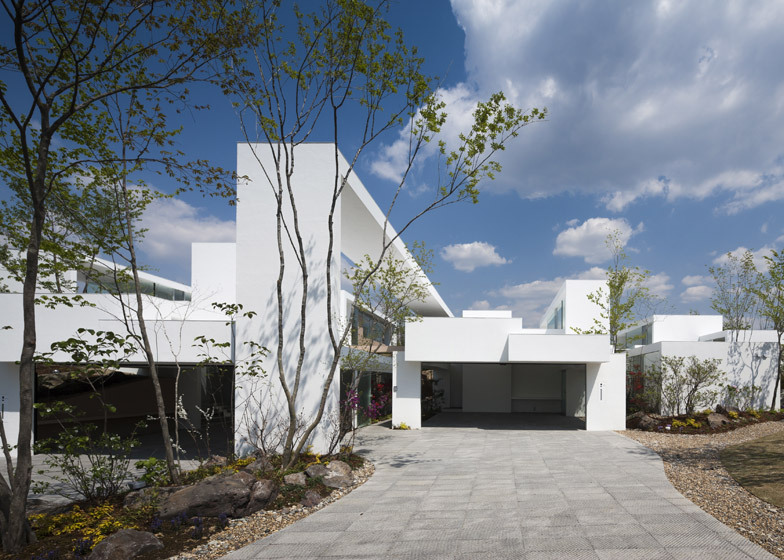 Cosmic House by Fukuyama-based UID Architects features a mixture of enclosed and open spaces across two levels, designed to create an intimate relationship with the setting, and the daily and seasonal changes that take place there. 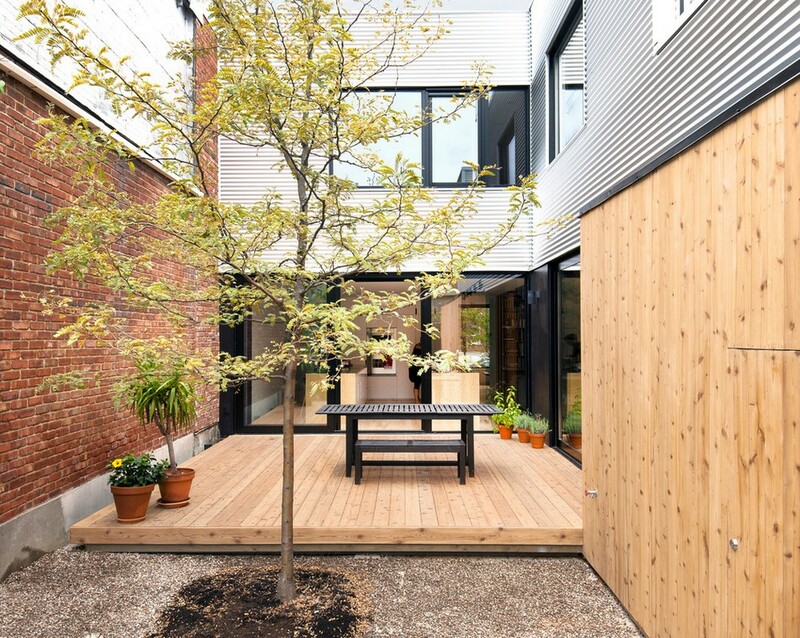 Contrast house, situated in Toronto has been designed by Description by Dubbeldam Architecture + Design and is modern renewal of a 120-year old home. The main task was to bring more light into. This narrow house was only 11 feet wide and had no direct sight lines to allow outward views and access to light. The rear of the house has been updateted by new expanded openings. House Lagnö wins the international House of the Year Award 2013 arranged by World Architecure News. House Lagnö is set in the Stockholm archipelago. Designed by Tham & Videgård Arkitekter. The house is designed as an integral part of nature, where the material’s weight and color scale connects to the archipelago granite bedrock. This lightweight building in glass and wood is a summerhouse, located in Tjajkovski, Sweden. The awsome looking is created by zig-zag layout, generated by specifics of the site.